11TH DECEMBER, 2002 AT 11AM. MR. COUGHLAN: Yesterday evening I indicated that I would return to the question of information and memoranda supplied to the Tribunal by Andersen Management International and in particular, by Mr. Michael Andersen. I should say that it is disappointing that neither Michael Andersen nor AMI is available as of now to give evidence to the Tribunal or to provide any further assistance to the Tribunal concerning the role of AMI in the evaluation process. In the ordinary way, when a witness refuses to attend at the sittings of the Tribunal and the Tribunal nevertheless regards any such person’s evidence as important, the Tribunal will usually wish to inquire as to what has prompted such a refusal, since this may have some bearing on any finding the Tribunal may ultimately wish to make or any reliance the Tribunal will ultimately wish to put on information made available by any such person. 1. Firstly, that he is bound by what he calls lock-ups, which the Tribunal interprets as confidentiality obligations. 2. Secondly, or alternatively, that his attendance at the Tribunal or the provision of further assistance to the Tribunal would expose him to material penalties at the hands of AMI/Ementor. In due course, the Tribunal will have to form an opinion as to how compelling or valid these reasons for non-attendance are. As things stand, a suggestion by Mr. Andersen that he may be available to give evidence in the future is not very helpful, since clearly the Tribunal cannot be expected to dispose of its business solely in order to accommodate the resolution of a dispute, if any, between Ementor and Mr. Andersen. Ementor’s determination not to attend appears to be final. As neither Ementor nor Mr. Andersen are within the jurisdiction, they cannot be compelled to attend. Lastly, apart altogether from any view the Tribunal may form in relation to the non-attendance of either of these witnesses, it may be that in due course it will be necessary to express a view on conduct of competitions in the State where such competitions involve the carrying out of evaluations or assessments by independent or other advisers who are not amenable to the processes of the State such as the process of this Tribunal. The memorandum of January 2002 provided by AMI is of considerable assistance to an overall understanding of the evaluation process. It also records some of Mr. Andersen’s misgivings regarding the execution of the process, and I propose opening that memorandum and referring briefly to certain portions of it. The first portion I wish to refer to is paragraph 1.2. Those fees of £20,000 were paid by the Department. “The objective of this memorandum is to contribute to the Tribunal’s overview and understanding of the events that took place in connection with the public tender of the second GSM licence in Ireland in 1995 (hereinafter the GSM II tender) as well as the procedures and methodology applied to the GSM II tender. Since the particular focus of the Tribunal with regard to the GSM II tender process is that of the circumstances concerning the evaluation of the winning applicant, i.e. Esat Digifone, this memorandum deals with specific aspects about Esat Digifone and their licence application where such information was available to AMI and has been considered relevant. The next portion I wish to refer to is paragraph 2. “AMI’s consultancy contract with the Department. “AMI has assisted telecom regulators in numerous jurisdictions in the award of in excess of 120 mobile communication licences, the second GSM licence in Ireland being one of them. Prior to the contract with the Department, AMI had just assisted a number of similar EU countries with GSM tender qualifications in particular including, but not limited to, Denmark, Norway and the Netherlands. The AMI team finalised its assignment in the Netherlands during March 1995, and the same core team commenced the assignment on behalf of the Department from April 1995. “However, the Department retained approximately 25% fewer services/resources from AMI than the Regulator in the Netherlands. For example, the Dutch Regulator retained AMI to perform far more preparatory work to develop a higher level of confidentiality during the course of the tender, to perform more supplementary analyses, and to assist with the conclusion of the licence negotiations. “After the GSM II tender in Ireland, AMI assisted the ODTR with, for example, the following Spectrum tenders, the third mobile licensing process, the two FWPMA tenders, the so-called Orange case in the High Court and the Supreme Court, the Broadnet FWPMA litigation in the High Court and the subsequent review of the FWPMA evaluation, the DCS 1800 Spectrum tender with Esat Digifone and Eircell, two FWA tenders, and a tender on TETRA. Now, the next portion of the report is paragraph 2.4. “The Department had overall responsibility for the conduct of the competition, but the ultimate responsibility was naturally with the Minister. A steering group or project team (hereinafter PT GSM) was established to conduct the tender process. The PT GSM comprised members from the then 3 telecommunications divisions of the Department (the technology division, the policy division, and a third division) and representatives from the Department of Finance. AMI consultants participated in some of the meetings from time to time, although AMI had no permanent members of this group. Martin Brennan, the Department, was the Chairman of the PT GSM and Fintan Towey acted as secretary. It is AMI’s impression that written minutes of meetings were taken for each PT GSM meeting by the Department, but AMI has only one of these. “Besides the PT GSM, specialised sub-evaluation working groups were also established temporarily to carry out the evaluation of the applications, c.f. below in section 8.2 about these sub evaluation groups. Now, the next paragraph I wish to open is paragraph 6.1: “Development of the evaluation model. “About the evaluation model in general. “It was necessary to develop a model to be used in the evaluation of the applications for the GSM II licence in order to ensure that all applicants were evaluated on equal terms and according to the same parameters. The purpose of the evaluation model is to enable the evaluators to apply in practical detail the evaluation criteria set out in relatively broad terms in the RFP. Accordingly, in designing an evaluation model the practice is to set out in detail dimensions and indicators into which the evaluation criteria provided in the RFP will be divided and how these dimensions and indicators are to be evaluated/measured and compared among the applicants. Dimensions and indicators are, in effect, sub-elements of the broad evaluation criteria, designed to assist the evaluators to analyse and evaluate the applications in a methodical and uniform manner. The evaluation model in effect sets out how the evaluation process is intended to be carried out. “The final evaluation model was as described in appendix 3 to the evaluation report of 25 October 1995 with this evaluation model having been settled and finalised in advance of the closing date of the 4 August, 1995. “Step 1: The applications were to be reviewed in order to determine if they fulfilled the measurable/quantifiable minimum requirements defined in the RFP. “Step 2: Clarification of the application content via applicant-specific written questions as well as an individual presentation and questioning meeting (both general and applicant-specific questions) with each of the six applicants. “Step 3: The quantitative and qualitative evaluation procedure as set out in the evaluation model. “Strictly speaking only Steps 2 and 3 make up the evaluation, as the quantitative and qualitative evaluation model is applied to the applications fulfilling certain measurable minimum requirements. “Since no evaluation model had been prepared by the Department and their consultants at the same time as the development of the RFP (and this would be entirely normal in AMI’s experience), AMI started to develop a draft evaluation model immediately in conjunction with the development of the guidelines to the original RFP. It is important from the outset of the design of a tender and the development of an RFP to be careful to fix the evaluation criteria listed in the RFP in a way so as to ensure that the evaluation criteria are measurable and operable, and that all applicants will be evaluated equitably having regard to the chosen evaluation criteria. “Accordingly, the work with the evaluation model was initiated in April 1995 and the definition of the model was settled prior to the original closing date of the 23 June 1995. It was subsequently slightly amended prior to the postponed closing date of the 4 August 1995 due to the requirement of the European Commission concerning the payment of licence fees. “The evaluation model applied the so-called best application method (i.e. a beauty contest) where the “best” application should be nominated as the winner. “Best” was to be measured against the evaluation criteria outlined in paragraph 19 of the RFP. “The evaluation model consisted of both quantitative evaluation procedures and qualitative evaluation procedures, and AMI was contacted by the Department prior to the drafting of the guidelines for the evaluation model with instructions that the Department of Finance required the model to include a quantitative element. “The 8 evaluation criteria/the 4 aspects form a common denominator in both the quantitative part of the evaluation and the qualitative part of the evaluation. In addition to the 8 evaluation criteria prescribed/the 4 aspects defined, the qualitative evaluation should also include an evaluation of the aspect of risks concerning the financial and technical capability of each applicant, i.e. the sensitivities of the business cases in relation to the evaluation criteria outlined in paragraph 19 of the RFP. “For the evaluation procedures, a weighting factor was assigned to the evaluation criteria/the dimensions according to the descending order of importance assigned to the criterion (with a total of 100 for the total weighting of all criteria/dimensions). However, when the tender process was reopened after the temporary suspension due to the dispute with the European Commission, two of the weightings were changed. The changes reflected the fact that the licence fee bid had been capped and therefore deserved a lower weighting and that tariffs were increased. These changes in weightings were not notified to the interested parties, as they did not alter the descending order of priority of the announced evaluation criteria in paragraph 19 of the RFP. “Finally, for the qualitative evaluation, a scoring formula was devised for all the selected indicators with the actual score for each indicator being converted into a value between 5 and 1 (both included), 5 being the best score. “The qualitative procedure was of course the fundamental part of the evaluation. It would not be possible or desirable to decide applications according to a quantitative evaluation alone. The qualitative evaluation covers many practical and technical matters but also the more “intangible” information, (e.g. as to marketing) and commitments in the application (e.g. performance guarantees). So the qualitative evaluation ensures a holistic evaluation, and in AMI’s wide experience of these matters, this is in accordance with the best international practice. Also, the inclusion of issues such as risk and credibility of an application in the qualitative evaluation should serve as a crosscheck of the realism of the figures and results from the quantitative evaluation. “In accordance with the evaluation model, the quantitative evaluation was to be conducted in order to score the applications and that scoring, together with the result of the “number crunching” performed should form the basis for the eligible applicant application presentation meeting, c.f. section 8.5 below, and the qualitative evaluation. Conversely, when the bulk of the qualitative evaluation had been carried out, this evaluation result was to form the basis for a recalculation of the scoring applied initially under the quantitative evaluation if mistakes, wrong information or the like could be documented (c.f. e.g. that the presentation meetings and the clarifications provided there by applicants were not considered and included in the quantitative scoring). “In fact, as described below in section 8, no separate evaluation or ranking was made by the evaluators/PT GSM until the qualitative evaluation was complete, since it turned out during the course of the actual evaluation that only a few of the intended quantitative indicators and dimensions were quantifiably measurable or operable. The next paragraph I wish to open is paragraph number 7.3. “Fulfilment of the measurable minimum requirements. “All the GSM II applications received were admitted to the evaluation as none of the applications had such substantial deviations from the measurable/quantifiable minimum requirements of the RFP such that they should be rejected. “The measurable/quantifiable minimum requirements of the RFP were identified to be. – A maximum of 350 pages, excluding appendices for the entire applications. – A maximum of 25 pages for the executive summary of the application. – A statement concerning the licence fee payment (c.f. the minimum licence fee of £5,000,000 stated in paragraph 4 of the RFP). “Esat Digifone complied with all the minimum requirements identified, whereas Eurofone did not. However, Eurofone was admitted to the evaluation, as the deviation from the minimum requirements were deemed to be non-substantial and thus not reason for rejection of the application. “With a view to making comparative evaluations, it appeared to the PT GSM at an early stage in the evaluation that some of the applications contained insufficient information. In accordance with paragraph 16 in the RFP, it was thus decided to pose a number of tailor-made written questions to the applicants, and these questions were forwarded to the applicants on the 24 August, 1995. I should say that there had been an alteration in time, so the two dates are not inconsistent. “An invitation was issued on the 5 September 1995 to each of the six applicants to attend a presentation meeting with the PT GSM. The invitation included an agenda for the presentation and a number of questions for response. Each applicant was dealt with on the same basis. One hour was reserved for a presentation of the business case behind the application, and another hour was reserved for the applicant to answer general questions posed to all applicants by the PT GSM in the same way, and yet a third hour was reserved for the PT GSM to pose applicant specific questions to the individual applicants. The presentation meetings were held as 6 separate meetings from the 11 to 14 September 1995. “The applicants were not allowed to improve their application during the presentation meetings. The purpose of the meetings was rather for the evaluators to gain further impressions with regard to the strengths and weaknesses of the applicants and to seek clarification of certain issues. “A large part of the quantifiable side of the applications was compiled prior to the posing of the written questions and the presentation meetings. It was put into graphics by each evaluation sub-group in relation to the dimension(s) and aspects for which the sub-group was responsible. The material thus produced served as part of the basis for the applicant-specific written questions, the presentation meeting with each applicant and the further evaluation. This material was subsequently adjusted if the clarifications provided by the applicants in their written answers and oral presentations so required. “Specifically concerning Esat Digifone’s application, there were some calculation problems, albeit of an insubstantial nature, which required the evaluators of the financial aspects were required to perform some minor adjustment to the way the financial years had been presented by the applicant (i.e. Esat Digifone used 1995-2009 as the planning period, whereas the other applicants used 1996-2010). However, other applicants also had insubstantial “technical” deviations in their applications, such as e.g. the lack of inclusion in their business plan of reinvesting after ten years. “The PT GSM decided that all the results of the evaluation should be presented in one comprehensive report such that the results of the evaluation (both the quantitative as well as the qualitative evaluation techniques) were presented in an integrated fashion. In conjunction herewith, it was furthermore decided prior to the closing date that the qualitative evaluation should be the decisive and prioritised part of the evaluation. Furthermore, it became clear during the initial phase of the evaluation that 14 of the indicators identified in the evaluation model memorandum were either impossible or difficult to score as part the quantitative evaluation process laid out in the evaluation model. Due to this finding, the PT GSM decided “… that the foundation for a separate quantitative evaluation had withered away…” In order to illustrate the background to this, it was impossible to score quantitatively because of lack of information (concerning e.g. agreements on international roaming), meaningless scoring when the renormalisation factor was processed (e.g. licence fee payment), or because of fundamentally incomparable quantitative information (c.f. blocking and drop out rates and tariffs). “The PT GSM was in dialogue with the applicants by means of written communication in order to be able to process the remaining quantitative indicators further, but it was impossible to obtain information, to allow a fair comparison of the applications. On the one hand, some of the information appeared to be unrealistic or overly optimistic information in some cases (e.g. blocking and drop-out rates). On the other hand, applicants could not be allowed to improve their applications. “In order to speed up the work, AMI had set up a separate number-crunching team who, without forming part of the core evaluation team, processed all quantifications. This meant that this sub-group worked without having read the applications and without having familiarised themselves with, for example, the reservations, non-binding nature or preconditions behind the quantitative figures forwarded by each applicant. Notwithstanding the fact that a considerable amount of their work was useful, some quantifications, which later appeared to comprise lack of fair comparability, were not used in the final evaluation. This is a reference to a portion of the evaluation report. “Thus, the quantitative evaluation was limited to “hard” quantitative commitments in relation to critical indicators associated with the selection criteria prescribed in the tender document” – this again is a reference to a portion of the evaluation report – “i.e. paragraph 19 of the RFP and non-quantifiable considerations such as market research, planning, management preparedness, etc. did not form part of the actual quantitative evaluation. In conjunction with the necessary limitation of the indicators under the quantitative evaluation, the qualitative evaluation was expanded in comparison with the 14 indicators identified according to the evaluation model memorandum, so that the total number of indicators in the evaluation ended being 56 indicators, taking account of critical but non-quantifiable aspects of the applications such as e.g. performance guarantees, cell planning, market research, understanding of roaming, customer care, etc. “As provided for in the evaluation model, the evaluation report states with regard to this procedure: “As the memorandum on the evaluation had not been changed, it was checked (page 1, indents 4 and 5, and pages 10-11, indents 5, 6, 7, and 8 (in the evaluation model memorandum) that this (the modifications to the evaluation model) was also consistent with the memorandum” c.f. e.g. with regard to indent 5 according to which the 14 indicators defined to be used during the qualitative evaluation could be supplemented with further indicators if the already defined indicators were not sufficiently representative for the dimensions to be evaluated. This again is a reference to a portion of the evaluation report. I should state at this stage, Sir, that to read, understand, and digest the evaluation report is not necessarily the easiest thing in the world. “The purpose of the evaluation report was to convey the findings and recommendations of the evaluation by the PT GSM and the evaluators. “The overall evaluation and final marking of the applications led to the conclusion that three candidates could be nominated for the award of the licence in descending order of priority, with certain reservations with regard to each of the applicants. The three applicants were, in order of priority: Esat Digifone, Persona, and Irish Mobicall. “- The financial plans however indicate some weakness against the background of market leader ambitions, in particular with a degree of solvency below zero % during some of the decisive initial years. “The three quotations stated all concern the issue of Esat Digifone’s financial capability. “The evaluation report’s finalisation on the 25 October 1995 led to the announcement of the winner by the Minister the same evening. The decision of the winner of the GSM II licence was made ahead of schedule. However, the Minister chose to make the decision public immediately upon making the decision. AMI does not know the reason for the swift announcement prior to the estimated time of ‘end of November'” – that is a reference to the estimated time for the bringing of the matter to the Cabinet with a recommendation for the Minister for the Cabinet’s consideration and the announcement of the completion of the competition. “Based upon AMI’s experience, it is however in general best to quickly announce the decision of who the winner is once the Minister has made the decision in order to avoid unintended leakage and speculation, c.f. that the decision is often crucial to the involved applicants of which many are publicly listed companies. Now, I want to refer to paragraph 8.1. “Licence negotiations with the winning applicant. “The work after the evaluation i.e. the licence negotiations in particular, did not follow the projected time schedule. During the last part of the project, the provision of AMI’s services exceeded the maximum fixed fee arrangement that AMI reluctantly had accepted upon the Department’s request, c.f. section 2.1 above, and accordingly, AMI limited its work in agreement with the Department. – Participation by Michael Moesgaard Andersen and Tage M. Iverson in the first licence negotiation meeting with Esat Digifone on the 9 November 1995. Then he refers to primarily sections 5 and 7.2 of the evaluation report. “However, the participation of AMI at this stage was not requested by the Department. And then I wish to refer to paragraph 11 of this particular memorandum. “AMI’s overall assessment of the GSM II tender. “First of all it should be noted that AMI’s work in relation to the project was carried out in accordance with the tasks listed by AMI in the original proposal to the Department, which proposal was incorporated as contractual terms in the consultancy contract between the Department and the AMI. “In general and based upon the information that then was and today is available to AMI, it is the opinion of AMI that for the part of the tender process that AMI was involved in, the process was – in the main – carried out in a professional and correct manner. This is of course subject to the reservations as to security expressed in Section 11 of this document. It is also the opinion of AMI that Esat Digifone – objectively and after taking into consideration the issues of criticism mentioned below – handed in the best application as against the other applicants according to the evaluation criteria and their descending order of priority. In AMI’s opinion the evaluation result nominating Esat Digifone as the winner thus was and is the right result. “I. The evaluation criteria listed in paragraph 19 of the RFP are not all suited to form the basis for an equitable comparison as they are too broad and vague and thus, to some extent, non-operable. Now, I should in fairness refer to the footnote 88. I should say, this refers to the first portion of paragraph 11. It’s a footnote in relation to the handing in of the best application by Esat Digifone. “III. AMI understands that the Department informed orally certain applicants that they could deviate in their application from some of the tender specifications given. This which meant that the applications proved very difficult or impossible to compare on a qualitative basis with regard to the parts of the evaluation that were to be based upon the information provided in those parts of the applications. “IV. The RFP did not prescribe what the procedures and consequences should be in case one of the minimum requirements in the RFP is not fulfilled, i.e. the RFP does not specify which minimum requirements may be fulfilled via a subsequent correction by the applicant within a certain deadline, and which minimum requirements will automatically lead to exclusion of the application in case such a requirement was not met in the original application as filed and without an option to correct the application. Also, in case of exclusion of an applicant on the ground of non-fulfilment of the minimum requirements, the RFP does not provide any guidance as to what the procedures for such exclusion will be. “V: The exclusion of AMI as part of the licensing negotiations with Esat Digifone was unusual and may have led to a lack of continuity. In practical terms, had AMI been fully involved in these negotiations, AMI would have endeavoured to ensure that all elements of risk concerning Esat Digifone mentioned in the evaluation report were eliminated via the inclusion of terms and conditions in the licence agreement with Esat Digifone to sufficiently minimise or eliminate such risks. “VI. “The budget constraints with regard to AMI’s work, c.f. the description hereof in section 2.1 of this memorandum, meant that some supplementary analyses that usually would have been part of a “best practice” evaluation were not carried out. Also, due to lack of budget, the Department did not – save on a cursory basis – consult and include AMI in the licence negotiations with Esat Digifone or in the handling of the disappointed applicants. Now, I have opened those portions of this particular memorandum provided by Mr. Michael Andersen on behalf of Andersen Management International for the assistance of those participating in the Tribunal. There may be other portions that participants may wish to refer to at a later stage, but I will leave it at that for the moment. Now, when you rose yesterday afternoon, Sir, I had been dealing with a period post the announcement of the evaluation competition up to about the end of December of 1995, and I had dealt with what appeared to be concerns on the Communicorp and Telenor side of the consortium with reference to what the Department knew about IIU’s involvement and what attitude the Department might be taking towards that. I now want to deal with something which occurred at the same time which may be of some assistance also in this regard. Subsequent to the announcement of the result of the evaluation, it appears that there was some publicity concerning the involvement of IIU in the financing of Esat Digifone. Mr. Kyran McLaughlin of J & E Davy has informed the Tribunal that following the announcement of the result of the evaluation process, he, by letter dated 22nd November, 1995, wrote to Mr. Denis O’Brien in relation to three matters which he felt would be of concern to the institutional investors, namely, Allied Irish Bank, Investment Bank of Ireland and Standard and Chartered Bank who had agreed to step aside. “Further to our telephone conversation last Friday and the subsequent announcement in Saturday’s newspapers concerning the involvement of Dermot Desmond’s company International Investment Underwriters (IIU) in the financing of Esat Digifone, I thought I would write to you setting out my understanding of some of the issues which have been raised. “When John Callaghan and yourself asked me last April if Davys could get some institutional investment interest to support your application, I said it would be difficult as the eventual financial terms of the licence were unknown and it would be difficult to put a precise financial proposal to potential investors. “However, Tom Byrne and Paul Connolly prepared an information memorandum and an investment proposal, and we secured 3 institutional investors prepared to commit £8.5 million in support of your licence application in early June. The commitment was conditional on your consortium acquiring the licence on financial terms acceptable to the institutions, but this condition was not seen by yourselves at the time as one which could make your application financially unacceptable. As you are aware, a large number of financial issues were not finalised when the institutions made their commitment, in particular the size of the bid by your consortium and the consequent debt/equity ratio of the consortium. Therefore it was difficult to get a firm, unqualified commitment in early June from the investing group. “When John came to see me on Friday 29th September, he told me that you had been advised that the financial element of your package was not sufficiently strong to allow Esat Digifone to be awarded the licence and that you were negotiating with a financial party who could provide the stronger financial backing necessary to be awarded the contract. He did not tell me who had provided this advice nor the identity of the stronger financial party. He asked me if I would ask the three institutions who had made the previous commitment if they would step aside so that the 20% to which they had been entitled would be available to the investor who was prepared to provide firmer financial support. “Even though we both recognised that this was embarrassing, I did notify each of the three parties that you were asking them to step aside to make way for a financial party which was prepared to put forward a stronger financial commitment. It has now emerged that this investor was IIU, which appears also to have been appointed to handle the sale of the 20% stake. “(A) Why were the original investing group not asked to make a stronger financial commitment along the lines of that offered by IIU if that was necessary, given that by 29th September a maximum price of £15 million had been established for the licence and discussions on the application had clearly taken place with the Department and possibly the assessors. “(B) Was information available to IIU that was not available to the original investing group at the time they were asked to step aside? (C) at what stage were the Department of Communications and the assessors told of changes in the institutions providing finance to the consortium? “In addition, the news media have asked us why Davy is not involved in raising funds as it is common knowledge that Davy were involved in the original application. I do not discuss our clients with the media, but you will appreciate that the current media presentation may be damaging to our reputation. “I believe it is important to reassure the financial institutions that made the original commitment that they were treated fairly. They will be particularly concerned if the 20% stake is resold to other investors at a significant profit over a short period of time. “It would be helpful to me if you could let me know your response to the issues raised above so I can provide them with reassurance. Now, Mr. McLaughlin has informed the Tribunal that he received no reply to this letter. He has informed the Tribunal that he met Mr. O’Brien casually before Christmas 1995, and Mr. O’Brien indicated that he and Mr. John Callaghan would contact Mr. McLaughlin in January in relation to the matters raised in his letter. Mr. McLaughlin has informed the Tribunal that Mr. O’Brien did not make contact with him nor did any other person on behalf of Esat Digifone Limited. Mr. McLaughlin has informed the Tribunal that on the 4th July, 1996, having heard nothing further from Mr. O’Brien, he wrote to Mr. O’Brien again and indicated that it would be very helpful to J & E Davy in dealing with the institutions in question to know Esat Digifone’s response to the three matters raised in his letter of the 22nd November, 1995. The letter of the 4th July is addressed to Mr. O’Brien, Chairman of Esat Telecom. Every time Esat gets extensive coverage in the newspapers, we get further queries from the institutional investors who were prepared to commit £8.5 million in support of your GSM licence application in June 1995. I wrote to you in November 1995 on some of the issues that have been raised with us, and when I met you in December you said that John and yourself would come into the office in January to discuss these and other issues. The more publicity which focuses on the value of the IIU stake in the GSM licence, the more likely the institutions will want to readdress this subject, and it would be very helpful to me to know what is your response. Mr. McLaughlin has informed the Tribunal that on the 8th August, 1996, Mr. O’Brien and Mr. Callaghan attended a meeting at Mr. McLaughlin’s office in J & E Davy. Mr. McLaughlin made a note of the meeting and committed it to transcript form. (c) IIU is likely to sell its investment back to existing shareholders and not to the market. “3. Esat plan a private funding in January 1997 probably through CSFB and an IPO later in the year. If there was any Irish interest, they would be pleased to use Davy.” The date is the 12th August, 1996. On the 22nd November, 1995, Michael Lowry answered parliamentary questions put down by a number of deputies, and draft responses were also prepared for him in the Department. Now, I intend opening all of this in a moment, but I should perhaps highlight in the first instance particular questions, and one was a question which was question number 42 which was put down by Mr. O’Dea, and asked the Minister for Transport, Energy and Communications the number of applicants for Ireland’s second GSM mobile phone licence, the dates on which submissions were received, the number of times he met principals, directors, consultants or representatives on behalf of any of the applicant companies, the dates on which he met with them, the locations where he met with them, and if he will make a statement on the matter. “The question regarding meetings I held with principals of applicants is virtually impossible to answer precisely. The applicant consortia encompassed at least four State companies, two of whom are within my aegis, five companies with significant Irish content, as well as an additional number of individuals in their personal capacity, at least 11 foreign companies, and indeed there is some degree of overlap with parties interested in the strategic alliance with Telecom Eireann. Now, when I open what Michael Lowry said in the Dail, it appears that although this draft response had been prepared in the Department, that he does not appear to have answered the question put down by Mr. O’Dea, although he grouped it in a more general response which he gave. Now, two other questions which were put down which may be of significance were questions number 84 and 85, which were both put down by Mr. Molloy. Now, I don’t propose opening any other questions asked of the Minister at the moment, but I will deal with how Mr. Lowry responded. “I am pleased that deputies have put down questions on the GSM competition because it gives me an opportunity to detail what I believe was a landmark competition in 26 and the speed with which it was carried out. “When I announced the competition for this second GSM licence last March, I was determined to put in place a selection process that, like the process for Telecom’s strategic partner, would be fair, impartial and objective. This was done. Clear selection criteria were set, published to the interested parties, and rigidly adhered to. International consultants with specialist experience were engaged to advise. An evaluation team led by my Department was set up and included the consultants and officials from my Department and the Department of Finance. “The terms of the competition were specifically approved by the EU Commission. The selection criteria included demonstrated financial and technical capability; the credibility of the proposers’ business plan and their approach to market development; their pricing policy, which had to be competitive; their timetable for achieving rollout. “The contenders were each required to supply an immense amount of detailed information in regard to financial, technical and business development matters. All this material was examined exhaustively by the evaluation team, which worked intensively over a period of more than two months after the closing date. The consultants, and subsequently the full project team, came unanimously to a single result. I am very pleased with the way the process worked, and I am completely satisfied with its integrity. “No political or other consideration whatever entered into the selection, which was made totally on the basis of the objective criteria laid down in advance and made known to all. The exhaustive and patently fair process can now serve as a model for future decisions of a similar kind in other areas. It is an example of the standard of decision making that I wish to see become the norm across the spectrum of Irish public life. “The import of Deputy Kenneally’s question is that I should have awarded the licence by reference to factors other than the selection criteria which was announced in advance and known to the applicants. I reject the import of that question. It was not open to me to follow such a course, and I would have exposed myself and the Government to legal redress if I had done so. Esat Digifone won because the project team determined, after meticulous comparative evaluation, that they had submitted the best application. “The decision to grant the licence and to whom is statutorily that of the Minister with the consent of the Minister for Finance. In view of the importance of this decision, I, and the Minister for Finance, discussed the result of the competition with the leaders of the parties and Government on the 25th October. The matter was put before the full Cabinet for noting on the following morning. In a case as sensitive as this, there is a great advantage in announcing the result as soon as possible, thereby putting an end to speculation and media hype which grows around such matters, as was the case on this occasion. The formal decision makes it clear that the licence will be awarded to Esat Digifone subject to satisfactory conclusion of discussions leading to a licence which incorporates as binding commitments the relevant contents of the application which led to its selection. “The Government agreed the detailed selection criteria and their order of priority in advance of the opening of the competition and agreed to the appointment of consultants to carry out the evaluation. It was clear to me, and to the Minister for Finance, who was represented in the project team throughout the competition, that the thoroughness of the approach taken left no room for doubt as to the clear-cut result contained in the consultants’ report. Bearing in mind the foregoing, the Government had no difficulty in agreeing to my recommendation in relation to the result. “There was no undue haste. In fact, a flow chart diagram prepared by the consultants on the 14th July in the context of the relaunch of the competition following consultations with the European Commission shows clearly that the final report was to be submitted in the week beginning the 22nd October. The consultants are to be congratulated on achieving this target. My commitment was to announce the result not later than the end of November. If I had not allowed some interval in case of slippage, I would have been open to criticism for not meeting my deadline. “At an early stage in the competition, four out of the six applicants requested and all were given assurances that the information in their bids would be kept confidential on a permanent basis. It would be impossible to have detailed disclosure of the comparative analysis without breaching this confidentiality. This dilemma is one of the reasons reputable independent consultants are engaged in competitions of this type. The consultants act as guarantors of objectivity. “The question of detailed feedback to applicants as to the reasons one applicant was successful and the others were not therefore presents me with a difficulty. Furthermore, disclosure by me at this time of significant elements of the winning application which would arise in any comparative feedback on public discussions of the outcome would be of considerable competitive advantage to the existing operators, Eircell. I would like to be as helpful as possible to understandably disappointed applicants, but the constraints on me are severe. The involvement of reputable consultants was intended to be a guarantee of fair play at the outset, and a clear-cut result from them was the one which I announced. Now, I will read it all out for the sake of completeness, although I don’t intend dwelling on portions of it, Sir. CEANN COMHAIRLE: Where is the question please, Deputy. The question is long and cumbersome. CEANN COMHAIRLE: This is becoming a long interrogation rather than a question time. “MR. MOLLOY: These are the questions I tabled to the Minister, and he has an obligation to give the reasons for the decision. The Ceann Comhairle: That is adequate for the time being. ‘We only know of one country, France, which has published part of the evaluation documents. In the case of France, two aspects should be mentioned: Firstly, the ministerial evaluation report was modified for the public audience before it was released. Secondly, prior consent was given by the bidders. To our knowledge, the evaluation reports used in the above-mentioned countries, except for France, were kept secret in order to protect the bidders who had provided the Government with information under the belief that it would be treated confidentially. ‘The information included in the applications for the Irish GSM II licence is also marked confidential, and it can not be disclosed in any form to the public without breaching the expressed non-disclosure agreement. This would probably lead to a court case initiated by one of the losing applicants. ‘We therefore strongly recommend you to reconsider the question and the eventual consequences of an immediate publication. CEANN COMHAIRLE: I will call Deputy Molloy later. I now call Deputy Treacy, who has ten questions tabled on the subject. “MR. N. TREACY: The Minister was asked specific questions which he has not addressed. I refer in particular to Question Number 42, which he included in his response but did not answer.” I should say Question 42 was Mr. O’Dea’s question about contact with representatives of the applicants – “Will the Minister indicate the role played by his Department and the Government in agreeing with the European Union that a vital national aspect such as this licence would be capped at £15 million when applicants competing for the licence believed it would be worth up to £100 million? Will he outline why agreement was reached on the cap? “MR. LOWRY: If the Deputy read the official report, he would note that Deputy Brennan chided me about the matter on a regular basis. He said I should have not allowed it to go to public auction and that it should be capped in the interests of bringing competition into the sector. There is a change of heart on the part of Deputies opposite. “MR. N. TREACY: I asked the Minister a specific question. “MR. BRENNAN: The Minister does not listen to anything I say. “MR. LOWRY: Regarding the licence fee, when the competition was launched it included an auction element as the fourth selection criteria in descending order of priority, ranking below the tariff deal for customers and other important criteria. It is public knowledge that the European Union Commission raised legal arguments against this aspect, and after taking the advice of the Attorney General’s office, my Department entered discussions with the Commission which led to modification of the rules of the competition. A cap of £15 million was put on the licence fee in the context that Eircell would also pay £10 million. That led to the approval in advance of the selection process by the Commission. It is speculative at this stage whether the Commission would have accepted a higher figure than £15 million, but it is clear that there would have been a commensurate increase in the demand from Eircell. In the long run consumers should not be asked to pay a higher fee. I am satisfied we have struck the correct balance and that we will get what we are looking for, a high-quality reliable and efficient service to compete 20 with Eircell, that will bring competition into the sector, which will in turn benefit the consumer by way of lower charges for handset equipment and lower tariff charges. “MR. MOLLOY: Question Number 85 in my name requests information regarding compliance with Article 3 of the bid document, which states that the applicants must give full ownership details for proposed licencee. I asked if that had been complied with in the awarding of the licence and if the Minister would indicate the identity and ultimate beneficial ownership of the institution investors who will own 20 percent of the successful bidding company. Were they known to the Minister when he made the decision, bearing in mind that recent newspaper articles refer to the fact that a finance company in Dublin has been appointed to place 20% of the consortium’s shares with institutions and other investors? If the investors were not identified, was Article 3 complied with? “MR. LOWRY: All aspects of the established criteria were scrupulously adhered to and monitored closely by my Department, the consultants and the project team. None of the six who submitted applications to the Department was rejected because of the absence of technical and financial ability to deliver the service. Examination of these aspects was an integral part of the evaluation process. Paragraph 3 of the bid document to which the Deputy referred relates to full disclosure of ownership. This was adequately dealt with in the evaluation of all applications, including the successful one. The majority of the applications contained indications of probable changes in ownership of minority interests by way of flotation, institutional investment, after licence award, and the level of such proposed changes considered acceptable. The intentions of the willing applicant in this regard was fully disclosed. “MR. MOLLOY: Were the names of the investors disclosed? “MR. LOWRY: The names of the investors were not disclosed in respect of a number of applications, but they did not contravene the criteria set down. “MR. MOLLOY: The article states that full ownership details must be given. “AN CEANN COMHAIRLE: Let us hear the Minister out. “MR. LOWRY: A number of investors stated that minority shareholdings would be available through various mechanisms such as by way of flotation or institutional investment. The winning applicant clearly stated that Esat would have a 40% ownership, Telenor a 40% ownership, and the other 20% would be available to institutional investors or other interest groups. That was clearly stated publicly as well as privately. “MR. MOLLOY: The Minister did not know who they would be. “MR. LOWRY: It would be impossible for any of the applicants to determine who would buy the minority stakeholding until applications were processed and an applicant had received a commitment from the Department that its application was successful in securing the licence and therefore it had a minority interest to sell. “MR. N. TREACY: The Minister accepts that he has full responsibility for a large number of semi-State companies. The report of the task force on semi-State companies states that such companies must maximise their potential to make an economic contribution to this country. Given that a number of semi-State companies had pledged fixed assets as part of the equity in respect of the applications ultimately rejected by the Minister, that represents a vote of no confidence by him in the semi-State companies for which he has political responsibility and which have a fundamental obligation to make economic contribution to our country. “MR. LOWRY: I presume the Deputy is saying they would have had an auction for the licence. I outlined the reason why it was capped at 15 million. I said the licence was the subject of discussions and negotiations with the European Commission under competition law. We adhere rigidly to that and have successfully brought this process to conclusion. I look forward to a competitor to Eircell being up and running before the end of next year. “MR. N. TREACY: I’m surprised the Minister does not understand the question I asked. Ceann Comhairle: That should be adequate. Let us hear the response. “MR. MOLLOY: It is very difficult to make one’s point in such a short time. The matter should be referred to an Oireachtas committee for full examination. “MR. LOWRY: The criteria and ground rules were clearly established at an early date. All participants in the competition were aware of the process into which they were entering. “MR. MOLLOY: I want to know the reasons for the decision. “MR. LOWRY: The process included a confidentiality clause inserted at the request of the applicants. Some who requested the clause are now seeking open disclosure regarding the outcome. That would be totally unfair to the winning applicant. The process was carried out in a scrupulous way. We have rigorously adhered to the criteria established with which applications were satisfied at the outset. I am aware that some people would like to have results published, and I have gone out of my way to establish if that is feasible. I have read today the response I received from Andersen Management International Consultants which are experts in this area and specialise in it. They advised me not to publish the results because to do so would leave me open to legal challenge from other applicants and groups who participated in the process. That is the position. I would like to be in a position to publish the consultants report, but it is not practical or legally feasible. “MR. MOLLOY: The Minister asks us to accept that everything was done above board, and I accept this, but I ask him to recall that similar assurances given by members of the Government were upended by the Supreme Court less than a week ago. Will the Minister accept that his decision is open to judicial review? If that is so, will he accept that under the law he is obliged to give the reasons for a decision to enable parties who may be interested in seeking a judicial review to decide whether they should seek such a review? Will the Minister approach all the tenderers and ask them to withdraw the confidentiality clause which they sought at the time the application was lodged to facilitate a statement being made with regard to how the decision was arrived at? “MR. LOWRY: I have nothing to add to what I have already stated. The relevant section in the letter which I have received from Andersen Management International emphatically states that the information included in the application for the second GSM licence is marked confidential. It can not be disclosed in any form to the public without breaching the expressed nondisclosure agreement. This would probably lead to a court case initiated by one of the losing applicants in that context. I cannot accede to the question. All the applicants entered this competition in the full knowledge that the criteria were established, that it would be imposed in a strict manner, and that there would be no deviation from it. I am satisfied with the integrity of the process. The manner in which the competition was held will stand up to any scrutiny, including legal scrutiny. Then he calls Deputy Batt O’Keefe. “MR. B. O’KEEFE: This issue of confidentiality is a double-edged sword. On the one hand the Government is calling for openness. It is clear that many people are concerned about the manner in which the licence was granted. If a suggestion is being made that the successful applicants were the only people not to offer any benefit to this country other than the agreed EU cap of £15 million, then, as members, we are not in a position to check whether there is substance to such a claim. The issue must be of concern to the Minister. In line with what Deputy Molloy said will the Minister ask the tenderers to withdraw their Confidentiality Clause so that we can have openness and transparency relative to all matters put before his committee? “AN LEAS CEANN COMHAIRLE: The question is overlong. “MR. O’ KEEFE: In respect of the decision to grant the licence, is the Minister aware that the Tanaiste, the day before the licence was issued, met one of the competitors, informed him that the tender was above board and that it would receive his support? He also informed the group that a decision would not be made for a further month. Yet the following day the decision was made. “MR. LOWRY: I am being asked the same question over and over, and I cannot change the answer to suit the Deputy. The reality is that I received advice in respect of what I can publish. I have even examined whether it is possible to publish some details of the report, but I have been advised it is not, because of the express wish of the applicants at the outset who wished to have a Confidentiality Clause imposed. Publication of the report would consist of detailed comparative analysis of the applicants. Obviously, the applicants do not want to know now or in the future. Publication of part of the report which does not contain confidential information is not possible. “MR. MOLLOY: That is exactly what they want. “MR. LOWRY: In a process such as this you cannot change the ground rules as you go along. The rules are clearly established. All the applicants knew exactly in a finite way what the process involved, and all were happy with it. As in any competition, there is a winner and losers and people react differently to the outcome. “MR. MOLLOY: Clause 3 was not complied with. “AN LEAS CEANN COMHAIRLE: Let us hear the reply without interruption from any side of the house. “MR. LOWRY: I will not comment on remarks that may or may not be accurate in respect of what the Tanaiste said yesterday inside or outside the house. I have nothing to indicate that the Tanaiste made any reference to this matter, and the Deputy should raise the matter with him. In respect of the decision in regard to the GSM licence, the consultants made a clear recommendation. The project team made a unanimous recommendation. I accepted that recommendation, and the Government accepted it unanimously. This was a clean hands-off process. This is the manner in which any process of this matter should be handled by any Government. “AN LEAS CEANN COMHAIRLE: I intend to proceed to Questions Number 6 and 7. “A DEPUTY: Sixteen questions were taken out. “MR. TREACY: I have a question down. “MR. CREED: Will the Minister agree that this debate is fuelled largely by the unsuccessful applicants for the licence and that these same applicants agreed in advance the criteria on which they made the tender and are now seeking retrospectively to change the ground rules? Will the Minister further agree that to unilaterally make sensitive information available which the tenderers insisted on keeping confidential would possibly expose the taxpayer to liability in subsequent court proceedings? “MR. LOWRY: Yes, I confirm that what the Deputy outlined is our approach to this matter. The Government, as stated, agreed the detailed rules of the competition and the selection criteria before it was launched. As long as these rules were respected and the result was a single clear-cut recommendation, there was no room for any flexibility. I assure the house that neither I, the officials of my Department nor any member of the Government had any desire to massage the outcome or to change the result. We appointed consultants. We accepted the recommendation of professional experts in this area and implemented their recommendation by giving the second mobile licence to Esat Telenor. “MR. S. BRENNAN: First, Fianna Fail supports Deputy Molloy’s request that a full explanation be given to those who did not succeed. Second, we wish the winner well. Is it open to the Minister to tell the house who owns the 20% to which Deputy Molloy refers? “MR. LOWRY: Discussions are ongoing in respect of finalising the award of the licence to the successful applicant, and I have no doubt that is part of the discussions. I have not been involved at any stage in the discussions regarding this process. No doubt the matter will be made public in due course, but I am not aware of the precise details at present. “Each of the applicants was assessed under three main headings. Tariff, quality, and franchise. Various scoring points were awarded accordingly, and the applicant with the highest number of points was awarded the tender. That is what we are seeking, and surely the Minister knows that under our system of administration of justice, there is the right to judicial review, and that in those circumstances, such judicial review would take precedence over confidentiality. If this matter were to go to court, the confidentiality cloak similar to the sub judice cloak which is often hidden behind here would not protect the Minister from seeking to refuse disclosure as to how the decision was arrived at. Will the Minister agree it would be more proper and correct to inform parliament as to how he made this decision, the reason he made it and the various details? “AN LEAS CEANN COMHAIRLE: That will be adequate, Deputy. “AN LEAS CEANN COMHAIRLE: The Deputy’s question is overlong. “MR. MOLLOY: – in regard to T.V. 5? Richard Branson has succeeded in getting a judicial review in the United Kingdom in the way the United Kingdom allocated its T.V. 5 licence. It seems to me the Minister wants to force this issue into the courts. “AN LEAS-CEANN COMHAIRLE: The Deputy’s question is overlong, and he knows that. “MR. MOLLOY: This is where the matter must be dealt with. “MR. LOWRY: I confirmed that the successful applicant complied fully with all the clearly established criteria, including Article 3. I have nothing further to add to the questions to make this information public. I have clearly stated the reasons this is not possible. I indicated that this procedure was established initially when the process was put in place and all the applicants were aware of it. If they decided to publish information in Belgium, it was done with the express consent, received at initial phase of competition, of those who participated. “MR. MOLLOY: There is no confidential information in this. “MR. LOWRY: The rules cannot be changed after the game is completed. I have no intention of doing that. “MR. N. TREACY: The Minister has not specifically answered Question Number 46. In the interest of openness, total transparency and absolute accountability, will the Minister lodge a copy of the consultants’ report in the Oireachtas library? “MR. N. TREACY: The Minister has not answered the specific question. “MR. LOWRY: – to the question. I have no intention of answering it three or four times to satisfy the Deputy. I have given him the facts; I can only rely on the facts to put forward my case. Now, a draft was prepared by the Minister to enable him to respond to all of the questions which were put down on this particular day. In response to the questions which the Minister grouped together as Questions 5, 10, 13, 25, 29, 30, 35, 39, 41, 42, 43, 44, 46, 84, 85, 86, 87 and 88, it appears that this draft which was prepared in the Department was used by the Minister. It also appears that this draft, the draft prepared and used by the Minister in the House in response to the questions, did not respond to the question concerning the ownership of the consortium which had submitted a bid, or applied. Now, it appears that when replies to parliamentary questions are prepared in draft form for use by a Minister, that it is not unusual to prepare drafts of possible supplementary questions and to prepare draft responses in respect of such supplementary questions. I just want to draw attention to one possible supplementary which was identified or anticipated, probably in the event of the answer given on ownership by the Minister in the House being found to be incomplete by the members of the House, and the draft supplementary which was prepared relates to the question were all the financial and ownership aspects properly dealt with? Was this the case for Esat? “There are separate specific questions on this later. I must respect the lottery system for questions. It appears one way or another that on the 22nd November, 1995, Mr. Michael Lowry did not answer the question asked by Mr. O’Dea, although he had been furnished with a draft reply prepared by his officials. The draft prepared for Michael Lowry and used by him in response to questions asked by Mr. Molloy on financial, technical and ownership aspects does not appear to answer the questions asked. And it appears that the draft reply to an anticipated supplemental question, which was “Were all the financial and ownership aspects properly dealt with? Was this the case for Esat?” appears to have been included to avoid answering the question. It should be stated that this draft was not used by Michael Lowry in the Dail because no such supplemental question was raised. CHAIRMAN: It’s appropriate to rise now. MR. COUGHLAN: Before lunch I dealt with questions which had been answered by Michael Lowry in the Dail on the 22nd November, 1995, in a course of considering what was known in the Department or by Michael Lowry about IIU’s involvement with the consortium in the period up to December of 1995. Now, in terms of the civil servants’ knowledge at this time of the involvement of IIU, Mr. Martin Brennan has informed the Tribunal that he was not aware of the contents of the letter of the 29th September, 1995, from Professor Michael Walsh addressed to him until well after the event. He has informed the Tribunal that at the presentation meeting with applicants, considerable emphasis was put by the Project Group on the weakest side of applications. The fact that the finances of the Esat Digifone consortium were probed obviously prompted a response by way of this letter. He knows from discussions with Fintan Towey that it is quite clear that he, Mr. Towey, was the one who received the letter and recommended that it should be returned and not brought to the attention of the Project Group. Mr. Brennan’s recollection is that Mr. Towey told him of the existence of the letter but not of its contents. Mr. Brennan has informed the Tribunal that he was not made aware, rightly, that an indication of the involvement of IIU had been communicated to the Department in September 1995. Mr. Brennan has informed the Tribunal that he believes that IIU Limited, as a member of the consortium, surfaced relatively close to the final award of the licence. He has informed the Tribunal that he can recall this as it was the subject of some discussion within the Department to which he was a party. He has informed the Tribunal that he believes that Mr. Loughrey took a hands-on position in considering how the Department might react to the emergence of IIU Limited. 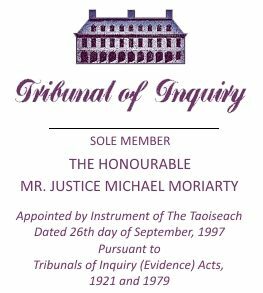 Mr. Fintan Towey has informed the Tribunal that the decision made to return the letter of the 29th September 1995 to Mr. Denis O’Brien on the 2nd October 1995 without retaining a copy of the letter on the Department files was, to his recollection, the course of action agreed between himself and Martin Brennan. He has informed the Tribunal that he has discovered, based on media revelations and information provided by the Tribunal, that a letter sent to the Department after the oral presentations given by applicants for the licence indicated that IIU could potentially be involved in financing Esat Digifone. However, this letter was returned to Esat Digifone, and a copy was not retained by the Department. He has informed the Tribunal that he was advised by Esat Digifone at some time after the announcement of the result, which may have been by way of a telephone call from Mr. Denis O’Brien, but he can not be sure, that Dermot Desmond would be the investor in 20% of the consortium. He has informed the Tribunal that he understood this to mean that Dermot Desmond would be the institutional investor in the Digifone consortium. Mr. Sean McMahon has informed the Tribunal that he cannot recall when he first heard of the involvement of IIU Limited or Mr. Dermot Desmond in the Esat Digifone consortium. He has informed the Tribunal that he became aware from meetings on other topics and from his staff of what the latest proposals were from time to time. However, he has informed the Tribunal that a Ms. Regina Finn, who was assisting him on the licensing aspect, was aware by the 16th April 1996 that IIU was involved and in fact held 25% of the equity in Esat Digifone. Mr. Sean Fitzgerald has informed the Tribunal that he had no knowledge of the letter from Professor Michael Walsh to Mr. Martin Brennan dated 29 September 1995. He has informed the Tribunal that he had no knowledge of Mr. Desmond’s or IIU’s involvement in Esat Digifone as of the 25th October 1995 or of any internal dealings at any time within the company. He has informed the Tribunal that any knowledge of these matters would have been given to him by Mr. Brennan or Mr. Loughrey and occurred sometime after the award announcement. Mr. John Loughrey has informed the Tribunal that he is not sure when he first became aware of some involvement by IIU Limited or Dermot Desmond in the Esat Digifone consortium. He had no such knowledge at the time of the 24th or 25th October 1995 when the decision was taken to award the Esat Digifone consortium the initial sole negotiating rights leading to the award of the licence. He has informed the Tribunal that his first recollection of IIU’s involvement was gleaned, he believes, from newspaper reports to the effect that IIU were, apparently, to take over the arrangements of the placement of the minority shares reserved for investors. He has informed the Tribunal that as of yet, he has not had time to revisit the files of the Irish newspapers, but given his personal friendship with Michael Walsh of IIU, he would have, no doubt, raised this emerging role for IIU with him. Whether this was done by way of a phone call or a social occasion, Mr. Loughrey cannot recall, but to the best of his recollection, IIU’s role grew gradually from one of arranger to one of primary investor on behalf of Mr. Dermot Desmond. As far as Mr. Loughrey is aware, there was no definite agreed confirmation of IIU becoming the minority shareholder until approximately mid-April, when Regina Finn of the Telecommunications Regulation Division had confirmation of the IIU intentions from William Fry Solicitors on behalf of the consortium. To the best of Mr. Loughrey’s recollection he had no knowledge whatsoever of a letter dated 29th September 1995 from Mr. Michael Walsh, IIU, to Martin Brennan. He believes that he would have remembered such a letter, given that he knew Michael Walsh personally. It appears that in the closing months of 1995 there was additional concern on the Communicorp side as to whether the funding for Esat Holdings Limited to enable it to fund its equity participation in the licence company would be consistent with the bid. Mr. Paul Connolly wrote to Mr. Denis O’Brien on the 5th December, 1995, and outlined three options which all appeared in his view to be inconsistent with the bid. Mr. Connolly wrote to Mr. O’Brien on the 5th December, 1995, and it’s a note re: “merger options”. Further to our meeting this morning I have done a 4th option – that is merging everything together and then doing a fundraising for Esat Holdings Limited, the 100% owner of Esat Telecom and Esat Digifone. My preferred option is Number 3, the part buyout of the IIU stake. I have a call in to Michael Walsh but it hasn’t been returned yet – will try again later. And then he has set out various financing options and has made certain assumptions. The first up is “1. ESAT Telecom pre money value is £15 million. “2. Esat Digifone value is based at $25 per head of population, giving a net value after licence fee of IR£41.25 million. “Option 1, “1. Merge IIU Esat Digifone interest into Esat Telecom and then seek funding on a joint basis. “2. Raise funding through CS First Boston for the merged Esat. And then he has “Amount in millions. “Esat Telecom        10 million  “Esat Digifone       20 million  “IIU Digifone        13 million  “Total               43 million. “1. Inconsistent with bid in that Digifone ownership would be Esat: 62.5% and Telenor: 37.5%. “2. Esat would not be an Irish controlled company and nor would Digifone. Then in relation to option 2. “1. Buyout of IIU Digifone interest now. “2. Raise funding through CS First Boston for the buyout and equity funding. “Esat Telecom          £10 million  “Esat Digifone,        £33 million  “IIU                   £10.313 million. “Total:               £53.313 million. “3. Assume that the funds are raised based on the same terms as the current proposal. The following shareholdings will result in Esat Holdings. “Denis O’Brien           30.32%  Advent International     16.32%  Minorities                6.36%  New Investors            47.00%. “3. Esat would be able to consolidate Digifone. Then there was a third option. “1. Buyout of 51% of IIU Digifone interest now. “2. Raise funding through CS First Boston for the buy-out and equity funding. “Esat                  10 million. “Esat Digifone         26.63 million. “IIU                    5.260 million. “Total                 41.89 million. “2. Esat Telecom post acquisition of IIU 51% Digifone stake (pre CSFB). “3. Assume that the funds are raised based on the same terms as the current proposal. “The following shareholding will result in Esat Holdings. “Denis O’Brien          32.6%  “Advent                 17.56%  “Minorities              6.84%  “New Investors          43.00%. “Consideration: In relation to Option 3. “1. Inconsistent with bid. Digifone ownership would be Esat 50.25%, IIU 12.25%, and Telenor 37.5%. “3. Esat will be able to consolidate Digifone. “1. Merge Esat Telecom, including its interest in Digifone, with IIU’s and Telenor’s interests in Digifone. “3. Assume that the funds are raised based on the same terms as the current proposal. The following shareholdings will result. “1. Inconsistent with bid in that Digifone ownership would be Esat Holdings: 100%, albeit that Telenor would be an indirect shareholder in Digifone. “2. Esat Holdings would not be an Irish controlled company. “3. Esat would be able to fully consolidate Digifone. “4. Denis O’Brien’s interest would be 19.2% of 100% in Esat and of 100% in Digifone. Now, in this period, there were license discussions between officials of the Department and members of the Communicorp side of the consortium and the Telenor side of the consortium, but it is not apparent that there were any negotiations with the IIU side of the consortium. It appears that between the announcement of the evaluation process and the end of December 1995, that the following was the situation. Firstly, Mr. Arthur Moran, Telenor’s solicitor, noted that the Department knew about IIU’s involvement by reference to the letter of the 29th September, 1995, and he also noted that the Department returned the letter and indicated that it would not be taken into account. Secondly, Mr. Gerry Halpenny, the Communicorp solicitor, noted that IIU’s involvement was not a problem for Martin Brennan in the Department and that his main concern was that Denis O’Brien and Telenor would be mainly involved in the operational side. Third, Telenor were unhappy with a company called Bottin to which IIU’s rights and obligations under the agreement of the 29th September, 1995, had been assigned on that day. Fourth, on the 22nd November, 1995, Mr. Kyran McLaughlin wrote to Mr. Denis O’Brien about a telephone conversation he had with him and references in the previous weekend’s newspapers concerning IIU’s involvement with Esat Digifone. Fifth, on the 22nd November, 1995, Mr. Michael Lowry appears not to have answered the question asked by Mr. O’Dea, although he had been furnished with a draft reply prepared by his officials. Sixth, the draft prepared for Michael Lowry and used by him in response to questions asked by Mr. Molloy on financial, technical and ownership aspects does not appear to answer the question asked. Seventh, the draft reply to an accepted supplemental question as to whether all the financial and ownership aspects were properly dealt with – “was this the case for Esat?” may appear on one interpretation to have been included to avoid answering the question. This draft was not used by Mr. Michael Lowry in the Dail. The Tribunal will inquire as to whether the Department and Michael Lowry had any knowledge of IIU’s involvement in Esat Digifone during this period. The Tribunal will also inquire into all circumstances surrounding the preparation and use of draft replies to parliamentary questions concerning ownership of Esat Digifone and concerning meetings which Michael Lowry had with applicants. It appears from the documents produced to the Tribunal by Esat Digifone, Communicorp and Telenor that in the early months of 1996, there were negotiations between Communicorp, which by then had been restructured as Esat Telecom Holdings (and into which all of the Communicorp telecommunications interests had been transferred) and IIU/Mr. Dermot Desmond for the acquisition by Denis O’Brien of 50% of IIU’s 25% shareholding. Had these negotiations crystallised into binding agreements, the effect would have been to increase the shareholding of Esat Telecom to that of a majority shareholding of 50.1% of Esat Digifone. From the documents available, there appear to be two factors motivating these negotiations. 1. The desire of Esat Telecom/Mr. O’Brien to acquire a majority interest in Esat Digifone so as to enhance Esat Telecom’s prospects of raising funds through CS First Boston. 2. A suggestion that IIU/Mr. Dermot Desmond may not have had the funding available to meet their 25% equity holding, which would have required a capital injection of £13 million. A. That IIU would place with Esat 12.6% of the 25% of Esat Digifone to which it was entitled. B. That in return, Esat Holdings would pay subscription amounts due on the 12.4% remaining with IIU as they fell due, up to a maximum of IR£6.448 million. D. As part of the arrangement, Esat Telecom would procure the release of IIU’s obligations to underwrite 60% of the equity in Esat Digifone. The proposal was conditional upon a number of matters that were listed in the letter. I refer to recent discussions and in particular to our conversation of this afternoon. My proposal is that IIU will place with Esat Holdings 12.6% of the 25% of Esat Digifone to which it is entitled. In return, Esat Holdings will pay subscription amounts due on the 12.4% remaining to IIU as they fall due, up to IR £6.448 million (12.4% of IR £52 million). I would also require your support in negotiating a satisfactory shareholders agreement to include effective board control for Esat Holdings. As part of the arrangement, Esat Holdings would have to procure the release of IIU’s underwriting obligations. 1. A satisfactory contract for the above and a satisfactory Shareholders Agreement being negotiated and settled. 2. Government consent or at least satisfactory assurances that the proposal will have no adverse impact on the GSM licence. 3. Satisfactory conclusion of the CS First Boston financing of Esat Holdings and consequently the actual receipt of funds thereunder. 4. Such other consents being obtained as Esat Holdings feels are necessary (to be incorporated as conditions in the contract at 1 above). If all of this is acceptable in principle, please let me know, and I will begin to make arrangements for drafting an implementation. “Revised proposal and main conditions (IIU’s agreement is totally conditional on Telenor confirming directly to DFD that they are happy with the revised proposal). – Esat Holdings will procure the release of IIU’s underwriting obligations. – Satisfactory contract for the revised proposal to be put in place. – satisfactory Shareholders’ Agreement to be completed. – Confirmation to be received that the revised proposal will have no adverse impact on the GSM licence. – Satisfactory conclusion of the CS First Boston financing of Esat Holdings and the receipt of funds thereunder. – All necessary consents and confirmations being obtained. – IIU to provide a loan of up to £3,000,000 to be fully repaid by end of May 1996. The coupon on this loan will be DIBOR plus 2%. – The revised proposal has been based on a valuation of the licence of IR£52 million. CS First Boston to confirm this valuation. Should this valuation be revised upwards, IIU will expect to receive proportionate recompense to be paid by end December 1996. – The agreed capital subscriptions to be made by the parties are IR£52 million. The structure as to how this capital should be structured (equity versus debt)should be agreed between the parties. If less than IR£52 million permanent equity is required by the 31 December 1996, then IIU is to receive the balance of the monies not subscribed on its behalf. – in general terms, IIU is comfortable with the “Operating” shareholders carrying on the day-to-day running of Digifone. It is important, however, that any issues which may have a material impact on the value of IIU’s shareholding are approved by all shareholders. – full protection to IIU and all shareholders against actions or financial structures which would erode value. – any transactions between Digifone and any shareholder would be on an arm’s length basis and will have prior approval by board members other than the representatives of the relevant shareholders. Directors fees also to be approved by the board. – each shareholder is entitled to participate pro rata in the issue of any instrument designed to effect the capital issue of IR£52 million. Furthermore no new shares, loans or other financing instruments can be issued to any shareholder without the prior agreement of all shareholders and all shareholders to participate pro rata in any such issue. – no amendments can be made to the memorandum and articles of association or the Shareholders’ Agreement without the prior agreement of all shareholders. All shareholders resolutions have to be approved by all shareholders. It’s a file from Owen O’Connell, 8/2/1996. “Client: Esat. “NOB – that’s Neville O’Byrne – plus Michael Walsh. DOB – Denis O’Brien, OO’C, Owen O’Connell. “Michael Walsh talked DD, does not want to sell out fully. Happy with convertible structure. Uncomfortable about shareholding in multiple companies. Some discussion of DD co-investing with CSFB but this very tentative. Current position – IIU will go to 12.4%, IIU resolve 5% problem by convertible same effect as share. See Michael Walsh memorandum – lot of difficult points. Problem for IIU in coming up with capital in interim. Owen O’Connell draft convertible preferential share. (Conversion subject to Minister consent). Convertible debenture,” it appears to be. I want to thank you for getting back to me so promptly on the suggestion which I put to Telenor Invest through you and to IIU through Michael Walsh at our meeting on 9th February that you might consider selling a portion of your share in Esat Digifone to Esat Telecom Holdings. I have noted your response that Telenor Invest has no interest in reducing its shareholding in Esat Digifone at this time. As I mentioned when I talked with you and Michael Walsh, our financial advisers, Credit Suisse First Boston, have told me that prospective investors in Holdings would be more attracted to our current private placement offer if Holdings could consolidate its investment in Esat Digifone on the basis that it would own more than 50% of the company. This has been confirmed to me even more strongly during my current meetings with prospective investors in the course of our roadshow in the United States. I believe that such an adjustment would also be acceptable to the Department of Communications. Accordingly, I will pursue the matter further with Michael Walsh, and I will keep you informed if it should emerge that IIU might be willing to do an acceptable deal with Holdings to this effect. “In relation to the letter from Denis O’Brien dated 27th February, 1996, I believe that that letter is putting you on notice of the fact that Holdings wishes to increase its interest in Digifone above the previously agreed figures. I believe that Telenor must respond to the letter to remind Holdings of the fundamental understanding that Holdings and Telenor would hold equal interests and that you would require to retain the option at all times of achieving that objective. That would of course mean that Holdings cannot have more than 50% without your agreement to take rather less than 50%. “In relation to IIU and Dermot Desmond, I expect you are aware that Mr. Desmond is at all times a dealer, and accordingly, if the price is right, he will be quite happy to deal with Denis O’Brien, and indeed it is not inconceivable that there is already an understanding in place as to what would constitute an acceptable deal. “For this reason, I think it extremely important that in the Articles of Association of Digifone we provide that it will amount to a transfer of shares of Digifone if the beneficial interest of any shares registered in the names of IIU Nominees changes so that we should require IIU Nominees to let us know the parties on behalf of whom they hold shares and how many shares they hold for each such party to ensure that there is no buildup of shares in any person (especially Holdings) which is not known to us. I will consider whether this point should also be put in the Shareholders’ Agreement as well as in the articles. Following Mr. Moran’s advice, Mr. Arve Johansen, then Chairman of Telenor Invest, responded formally to Mr. O’Brien’s proposal by letter dated 7th March 1996 in which Telenor insisted in maintaining participation in Esat Digifone on an equal footing with Esat Telecom and suggested that if it would facilitate Esat Telecom’s funding requirements, Telenor would be willing to consider a proportional increase of both Esat Telecom and Telenor’s shareholding in Digifone. It’s to Denis O’Brien, and it’s from Richard O’Toole, 20th February, 1996. “Attached is a draft letter to IIU for your consideration. I believe that we now need to send such a letter to Michael Walsh in order (1), to expedite conclusion of the Shareholder Agreement; (2) to prepare IIU for the imminence of a capital call by Esat Telecom. “I am concerned at the delay in finalising the Shareholders’ Agreement with IIU. It is dangerous to leave it until the last moment, and this is a matter which we should be able to tidy away now. The Department is bound to ask us shortly to deliver the agreement to them; if we delay, you can be sure that the Department will use this as a further excuse to delay the licence. In addition, the project finance banks need to see the agreement and will require signature by the parties before they start funding. In short, we need to get IIU to focus seriously on the agreement and reach rapid agreement between ourselves and Telenor. “The draft letter also puts Michael Walsh on notice that IIU will have to fund its 25% share soon since Esat Digifone now needs working capital from all of its shareholders. The sooner IIU puts in money the better, since Esat and Telenor are investing actively in the business with IIU getting a free carry for no risk whatsoever; when IIU have money in, they will become much more focused. And if they fail to fund, then their entitlement to equity may cease to exist because they could be in breach of the agreement giving them that right. And attached to that memorandum was a draft letter which was prepared but which I don’t need to open at this stage; I just make reference to it. In the first three months of 1996, the Department continued to work on the drafting and preparation of the licence to be issued to Esat Digifone. As time progressed, there appears to have been some pressure from both within the Department and at a political level to expedite the finalisation and issue of the licence. Mr. Sean McMahon, Principal Officer on the regulatory side, who was primarily responsible for the drafting of the licence, recorded various instances of such pressure in his personal notes. During this time the Department took legal advice in relation to various aspects of the licence from both the Office of the Regulator Attorney General and from counsel. Ms. Regina Finn was an Assistant Principal Officer on the regulatory side, having replaced Mr. Ed O’Callaghan in March 1996. She prepared a note and placed it on the departmental file on the 21st March, 1996, in which she recorded that she had received a telephone call from Mr. Martin Brennan that day in which he informed her that Mr. Michael Lowry had directed that a final licence should issue to Esat Digifone by the following Tuesday at the latest, which would have been Tuesday 26th March, 1996. She further recorded that following discussions, Mr. John Loughrey, the Secretary General of the Department, agreed that a draft version of the licence would be made available by the following Friday, 22nd March, 1996. The note reads: “Mr. Martin Brennan (Development Division) rang this office today (Thursday 21). He was with the Minister and the Secretary at the Telecommunications Council, and the matter of the GSM licence was raised. The Minister directed that a final licence issue to Esat Digifone by Tuesday next at the latest. Following discussion, the Secretary agreed that instead of this, a draft version of the licence would be made available to Esat by Friday 22nd (tomorrow). Mr. Brennan was communicating the Secretary’s instruction in this regard. “In discussions with the Attorney General’s Office, the Office still advises against sending any copy to Esat before it has been cleared by the AG. However, in order to comply with the direction received, a copy of the draft licence will be sent out with a cover sheet containing a caveat similar to that which accompanied previous drafts. The AG’s Office have reluctantly agreed to this course of action. Apart from issues regarding the Shareholders’ Agreement and the respective shareholding of the participants, Esat Digifone at this time was also taking steps to progress the roll-out of its mobile telecommunications network. In November of 1995, Esat representatives met with representatives of the ESB and requested the ESB to open negotiations on the use of ESB sites for the placement of Esat Digifone antennae. This meeting was followed by a letter of the 30th January, 1996, from Mr. Seamus Lynch, project coordinator of Esat Digifone, to Mr. John McSweeney, group managing director of ESB International Services, confirming that Esat Digifone would be interested in using ESB sites as possible base station locations and proposing that the ESB grant an option to Esat Digifone for £250 per site with an average annual rental payment of £4,000 per site. The granting of an option by ESB to Esat Digifone would have entitled Esat Digifone to apply for planning permission. The Board were in the process of giving consideration to the Esat Digifone proposal when on the 7th February, 1996, Mr. William McCann, the then Chairman of the ESB, received a telephone call from Mr. Padraig O’hUiginn, a director of Esat Telecom. “To file. From W. M. McCann, Chairman. Date 7/2/1996. Re Esat Digifone. “I returned telephone call at 9 p.m. yesterday to Mr. Padraig O’hUiginn, who is an acquaintance of mine. “He had been looking for me earlier in the day. “He told me that he was a director of Esat Digifone, and he said that he had approached the ESB a good while ago in order to see if ESB would be willing to let them use their properties and masts for their telecommunications network. He said that they were willing to pay for this. “He said there had been a considerable delay in responding, and then it emerged that ESB were themselves bidding for the new digital telephone licence as part of a consortium, and he inferred that this explained the delay. “He then went on to say that Esat Digifone had subsequently won the licence and that they had been in discussions recently with ESB (he thought the name of the person concerned was John McSweeney or John Sweeney, but he was not sure of this) again about using their locations. “He said that they did not appear to be making progress, and he then read to me what he said was a document about to be issued by the Minister for the Environment to planning authorities. This document apparently encourages planning authorities to ensure that masts are, where possible, located together, and apparently says that the owner would be expected to facilitate this. “He said that it was Government policy that persons with appropriate sites would cooperate. He said that Esat Digifone believed there was an unreasonable reluctance on the part of the ESB to cooperate and hence his telephone call to me. “He said he would like me to raise the matter with the Board. I responded by saying that I was not familiar with the issues involved and could not undertake to do this. However, I did say that I would look into the matter. “He said that if the matter could not be resolved, then he would raise the matter with the Minister for Transport, Energy and Communications who was, he said, “Our joint bosses”. “I again reiterated that I would look into the matter, but I was careful not to promise to revert to him, although it is probable that he expects me to do so. “At the end of our conversation, he said that he would send me a copy of the document to be issued by the Minister for the Environment referred to earlier. I have not received this at the time of dictation. I now enclose copy of the consultation guidelines to be issued by the Minister for the Environment as regards telecommunications antennae and support structures. I have marked the passages that are relevant. It is clearly Government policy for economic efficiency to provide better mobile phone facilities and that there is an obligation on bodies with existing support structures and masts to facilitate co-location. As I explained, our Seamus Lynch is in communication with your John McSweeney in regard to co-location. Obviously, there are commercial terms to be agreed but, subject to that, we would like to know if the ESB is, in principle or not, willing to consider co-location as advised by the Minister for the Environment. Now, by letter of the 12th February, 1996, Mr. McCann replied to Mr. O’hUiginn indicating that the ESB had received a copy of the Department of Environment guidelines and that they would be responding to them in due course. He further stated that the ESB would consider fully the offer made by Esat Digifone, but that as Mr. O’hUiginn would be aware, the ESB was then tied into the Persona consortium and would not be free to conclude arrangements with any other parties until the licence had been issued by the Department. “12th February, 1996. Mr. Padraig O’hUiginn, Director, Esat Telecom. I refer to your letter of the 7th February and our earlier phone conversation in which you expressed an interest by Esat Digifone in the possible use of ESB sites for their telecommunications network. Interestingly, ESB had received a copy of the Department of Environment consultation draft of guidelines for planning authorities relating to telecommunications antennae and will be responding in due course. I understand that Esat’s project coordinator has also written to Mr. John McSweeney with an offer in relation to the sites and this will of course be fully considered. You will be aware, however, that ESB is presently tied into the Persona consortium and unfortunately will not be free to conclude arrangements with any other parties until the licence has been issued by the Department. It is only fair to let you know that at present ESB is also in discussion with other parties. ESB has significant facilities of value in the telecoms area, and it is our intention to make the widest possible use of and obtain maximum value from them. In this regard it would be helpful to know if Esat has considered offering ESB a suitable level of equity participation in the company. The ESB was one of the four members of the Persona consortium, which was the second-ranked applicant in the evaluation report and the consortium with which the report recommended that the Minister should open negotiations in the event of a breakdown in negotiation with Esat Digifone Limited. This was also of course noted in the Aide-Memoire which went to Government on the 26th October 1995 and formed part of the decision of Government on that day. By a further letter, dated 21st February, 1996, Mr. O’hUiginn again wrote to Mr. McCann, and on this occasion again described himself as a director of Esat Digifone. In this letter, Mr. O’hUiginn recorded that Esat were pleased to note that when the licence had been issued the ESB would be willing to discuss arrangements for use of their sites for facilities in accordance with Government policy. Now, I’ll just read the letter. It’s Esat Digifone, Mr. McCann, Chairman of the ESB. Thank you for your prompt reply to my letter 12th February 1996 about co-location of GSM facilities. We are pleased to know that when the licence has been issued, the Board are willing to discuss arrangements for use of your sites for our facilities in accordance with Government policy. In addition, we understand from our meeting with the Minister for Transport, Energy and Communications, which was attended by one of our directors, that the ESB have said to the Minister that they are prepared to allow Esat Digifone to co-locate on their structures in accordance with Government policy. As you know, we did approach your Board at a very early stage in connection with our proposed tender for the GSM licence, but in the event, your board opted to join another consortium. All the equity in Esat Digifone is now allocated, so it would not be possible to give any equity share to the ESB. Your Mr. McSweeney, in his letter of the 14th February to our Mr. Lynch, mentions your interest in matters other than sites, i.e. infrastructure, retail, credit control. Our view is that these matters are separate from the issue of co-location, which is endorsed by public policy, and we are willing to pay direct commercial terms for the facilities you can make available in accordance with that policy. This does not exclude the possibility of our entering into separate arrangements in regard to the matters you mention, according as our business arrangement develops. We would be very glad to explore these matters in due course. We note that you are having discussions with other interests. As regards public policy on co-location, it envisages location of a number of interests on the same site. We have no difficulty, therefore, in discussing such arrangements with you. If you make wider commercial arrangements with such other interests, we have no difficulty with that. In fact, you can maximise your return, which is a point you emphasise. We would be glad, in all circumstances, if discussions between us could now proceed with all speed. Such discussions could, we suggest, be provisional pending the issue of the licence. We have kept the Department of Transport, Energy and Communications informed of our various discussions in this matter, in view of Government policy on co-location. We have therefore sent copies of our correspondence to the Department with renewed thanks for your prompt attention. Now, the notepaper on which this was written is Esat Digifone notepaper, and there is a list of directors, and Mr. OhUigin’s name is not included on that list at the bottom of the notepaper. On the 5th March, 1996, Mr. McCann responded to Mr. O’hUiginn. Your letter of the 21st February concerning GSM facilities refers. The position regarding co-location of facilities is that the Department of the Environment have circulated a position paper for comment. ESB has responded to that paper, and at this stage there is no established Government policy. The suggestion contained in your letter that the ESB told the Minister for Transport, Energy and Communications that they were prepared to allow Esat Digifone co-locate on their sites is not factually correct. The ESB approach to all GSM-related issues will be based solely on commercial considerations. It has come as a surprise that your company is now pressing for a significant level of co-operation, given our understanding that Esat Digifone had submitted a comprehensive technical plan to the Department of Transport, Energy and Communications which presumably did not include use of ESB sites. In my previous letter I indicated that pending formal award of the licence, we were precluded by terms of our agreement with Persona from agreeing arrangements with other parties. When this matter is resolved, we will be in a position to conclude agreements based on normal commercial considerations, and I anticipate speedy negotiations with Esat Digifone and other parties at that point. Some weeks later, Mr. Michael Lowry wrote to Mr. McCann on the 27th March, 1996, in the following terms. It’s a letter on the 27th March, 1996, to Mr. W M McCann, Chairman, ESB, Lower Fitzwilliam Street, Dublin 2. Esat Digifone have contacted me concerning difficulties in securing planning permission for mobile phone masts in key sites around the country. Planning authorities are reluctant to consider multiple masts in sensitive locations unless it is clear that there are substantive reasons why co-location is not practicable, and every effort has been made by the relevant parties to each agreement. It is Government policy to support co-location wherever feasible, and I am writing to all State companies and Government agencies who own or operate communications sites to urge maximum co-operation. Indeed, if this cannot be achieved by voluntary means, I will have to consider whether there is a role for the regulatory and licensing process to address these issues in the overall interest of developing communications infrastructure. I understand that you feel you were precluded by your participation in the Persona consortium from agreeing arrangements with other parties. I cannot accept that this is a valid justification for not cooperating on matters which would overcome planning difficulties possibly on a reciprocal basis. Indeed many such arrangements would only come into play in practical terms in circumstances which released you from your Persona obligations, i.e. the formal issue of a licence to Esat Digifone. I trust the ESB can reconsider its position and adopt a constructive approach to the single issue of mast sharing with all interested parties. The Tribunal has taken this matter up with the departmental officials and has been informed by Mr. John Loughrey that both Mr. Loughrey and Mr. Sean Fitzgerald were involved in advising the Minister to sponsor the maximum cooperation concerning the location of masts for mobile telephones, as well, indeed, for other transmission facilities, so as to minimise planning and environmental problems in general and, indeed, minimise local and political concerns about the location of such masts. According to Mr. Loughrey, the letter to the Chairman of the ESB of the 27th March 1996 was intended to do no more than encourage the ESB to adopt a flexible and constructive attitude towards allowing mobile antennae to be attached to pylons and masts in their ownership. While the letter arose from concerns expressed by Esat Digifone, who had already contacted the ESB on this matter, the Department would have encouraged the ESB equally to allow Eircell to locate such masts on ESB property. Mr. Loughrey has informed the Tribunal that the policy was non-discriminatory. The Department wanted to maximise co-location to the greatest extent possible. For the most part, this would require co-operation between Telecom Eireann/Eircell and Esat Digifone. Mr. Loughrey has informed the Tribunal that Mr. Alfie Kane, Chief Executive of Telecom Eireann, was also contacted by the Department to adopt a similar position of flexibility and creativity in addressing this problem. Mr. Loughrey has further informed the Tribunal that while the Minister could have issued directions to Telecom Eireann and to the ESB, the Department’s stated preference at all times was for voluntary agreements between all parties based on satisfactory commercial arrangements. The Tribunal will inquire as to the circumstances in which and the matters which prompted Mr. Michael Lowry to write in these terms to the ESB, a company for which he had overall responsibility as Minister for Transport, Energy and Communications, in aid of Esat Digifone, and in particular bearing in mind that the ESB was a member of the Persona consortium, which was the second-ranked applicant in the evaluation process and where the evaluation report had recommended that the Minister open exclusive negotiations with Persona for the grant of the second GSM licence if the negotiations with Esat Digifone broke down. It would appear that at no time in its dealings with the ESB did the Department or the Minister inform either Mr. McCann or Mr. McSweeney that Persona were in second position to get the licence in the event that negotiations with Esat Digifone failed. In the continuing licence negotiations between the Department and Esat Digifone, Mr. Owen O’Connell, solicitor for Esat Digifone, provided Ms. Regina Finn with what she recorded in a fax to Mr. Martin Brennan and Mr. Fintan Towey was the latest information to come to light about the shareholding in Esat Digifone. She informed Mr. Brennan and Mr. Towey that Mr. O’Connell was to provide further details in writing. “At present Communicorp is the vehicle whereby Denis O’Brien holds shares in Esat Digifone. Communicorp also has ownership of Esat Telecom and the radio interests of Denis O’Brien. The objective is to uncouple the telecommunications and the radio elements of Communicorp because they are incompatible from the point of view of investors. With this in mind, Communicorp will retain the radio interests and “slide” out of the current picture in relation to telecommunications. Then it states that Esat Telecommunications Holdings was incorporated to take over the telecommunications interest of Communicorp, and it sets out the ownership of that. “Ms. Regina Finn, Esat Digifone Limited. Somebody has put in a note “37.5%”. The 37.5% relates to the shareholding of Communicorp or Esat Holdings and Telenor. And the note saying “25%” refers to the 750,000 shares. “It is intended that by the time notification is received from you that the second GSM licence is available for issue, the issued share capital will have increased by £15 million to £18 million (all comprising shares of one pound each) held as to 6,750,000 by each of Esat Telecommunications Holdings Limited and Telenor Invest AS, and as to 4,500,000 by IIU Nominees Limited. “The 25% of Esat Digifone Limited held by IIU Nominees Limited effectively represents the institutional and investor shareholding referred to in Esat Digifone’s bid for the licence. You will recall that this referred to an immediate institutional/investor holding of 20%, with a further 12% in short and medium term stages. Of the anticipated 12%, 5% has been pre-placed with IIU Nominees Limited. It is understood that most or all of the shares held by IIU Nominees Limited will in due course be disposed of by it, probably to private and institutional investors. “A placing of shares is near to completion in the United States whereby the effective ownership of Esat Telecommunications Holdings Limited will be altered by the subscription for a substantial number of shares by a number of US financial institutions. The US institutions are likely to hold approximately one-third of Esat Telecommunications Holdings Limited after the placing (although Mr. O’Brien will retain a majority of voting shares); in addition Advent International may increase its holding somewhat by participating in the placing. “You asked me about a number of other companies of which you were aware, including Esat GSM Holdings Limited and Communicorp Group Limited. While these companies remain in being and are within the overall group structure, they will not have a direct role in the licence. “I believe that the foregoing accurately summarises the effective and beneficial shareholding of the parties concerned, although the full shareholding structure is somewhat more complex than outlined and, as I told you on the telephone, many of the effective shareholdings are held indirectly through other companies. If you wish, a full briefing can be given as to the exact shareholdings of all parties in and through all companies, but I am not sure that this will serve any productive purpose. Please contact me if you would like such a briefing. “At the risk of labouring the point, I must reiterate the anxiety of Esat Digifone to procure a grant of the second GSM licence as soon as possible, since significant damage to its plans and prospects is already being incurred and could largely be avoided by the grant of the licence. “I look forward to hearing from you. And this was a letter written by the solicitor to Esat Digifone. I should perhaps draw particular attention to that part of the letter in which Mr. O’Connell states “The 25% of Esat Digifone Limited held by IIU Nominees Limited effectively represents the institutional and investor shareholding referred to in Esat Digifone’s bid for the licence. You will recall that this referred to an immediate institutional investor holding of 20%, with a further 12% in short and medium term stages. Of the anticipated 12%, 5% has been pre-placed with IIU Nominees Limited. It is understood that most of the shares held by IIU Nominees Limited will in due course be disposed of by it, probably to private and institutional investors”. It does not appear that this particular paragraph reflects what had occurred between Dermot Desmond, Denis O’Brien, Michael Walsh, IIU, Esat Digifone, Communicorp and Telenor. It is to be recalled that from the 29th September, 1995, IIU had a right to subscribe for 25% of the shares in Esat Digifone in return for agreeing to furnish a letter to the Department and in return for underwriting the portion of Esat Digifone’s equity not taken up by Telenor. From that date, Telenor had a right to subscribe for 37.5% of Esat Digifone’s equity. Communicorp had the same right, and IIU had a right to subscribe for 25%, based on an agreement which had occurred on the 29th September, 1995. On the 29th September 1995 a side letter was signed by Michael Walsh on behalf of IIU and Denis O’Brien on behalf of Esat Digifone in which it was agreed that from that date, IIU had assigned all of its rights and obligations to Bottin. Mr. O’Connell was the Esat Digifone solicitor on the 29th September, 1995. The communication to Ms. Regina Finn on the 16th April, 1995, and the letter to her on the 17th April, 1995, appears to be the first formal notification – I stress “formal notification” for the moment – to the Department of IIU’s involvement in Esat Digifone. It is to be recalled that the letter of the 29th September 1995 had been returned to Denis O’Brien, and he had been informed that it would not be taken into account. Now, if I could go back to Ms. Regina Finn’s note which she sent with her fax to Mr. Martin Brennan and Mr. Fintan Towey, and the graphic, please. Now, the letter of Mr. O’Connell’s on the 17th refers to IIU Nominees Limited. The graphic makes it clear: Institutional investors on the right, IIU/Dermot Desmond. That’s a matter which I will be referring to when I come to deal with another series of questions answered by Michael Lowry in the Dail on the 30th April, 1996. The draft speech prepared in the Department for Mr. Lowry does not appear to make any reference to Communicorp’s funding requirements being underwritten by a party acceptable to his Department. The Tribunal will inquire as to the circumstances whereby Michael Lowry became aware of the fact that the Communicorp funding requirement was underwritten by anyone. The Tribunal will also inquire as to whether this fact was known to the Department and as to whether it was acceptable to the Department or Michael Lowry. Now, I intend going into the debate, Sir, which will be fairly lengthy at this stage. And in fairness, I have to put up some of the drafts, because this is a matter which the Tribunal will have to inquire into, and it might be more appropriate if I was to leave it over till the morning. CHAIRMAN: All right, Mr. Coughlan, for what I think may be perhaps the final day of your considerable opening remarks, eleven o’clock tomorrow morning. THURSDAY, 12TH DECEMBER, 2002 AT 11AM.